Take all the ingredients except onion in a bowl and mix water with it. Use a egg beater for easy mixing. Keep onions aside. The batter should be very thin of running consistency. 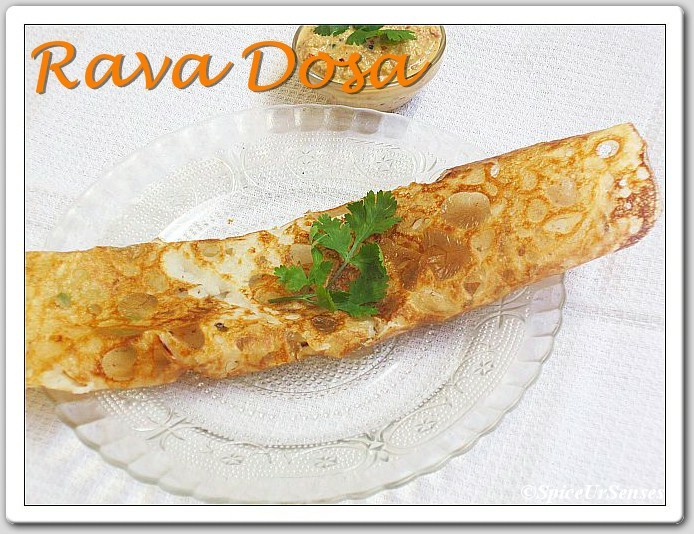 Heat a non stick dosa pan preferably. It should be really hot. Drizzle some oil and pour the watery batter, first to form a outer circle and then fill in the centre, just one layer. Immediately top the chopped onions in a sprinkled way. Add a tsp of oil/ ghee over it. 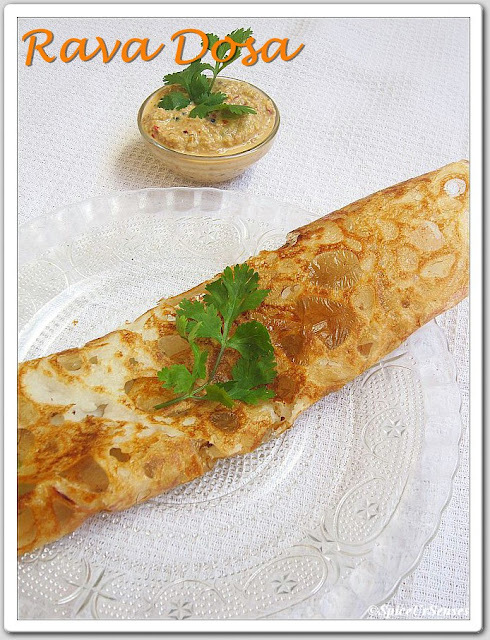 Let it cook in medium flame until the dosa browns to a golden colour. It takes some time in medium flame. If you cook in high flame you may not get the crispy dosa. So cook slowly in medium flame. Do not flip, just fold and serve hot. Serve hot immediately with sambar and chutney the best combo. Looks very crispy and lacy :) love it .. 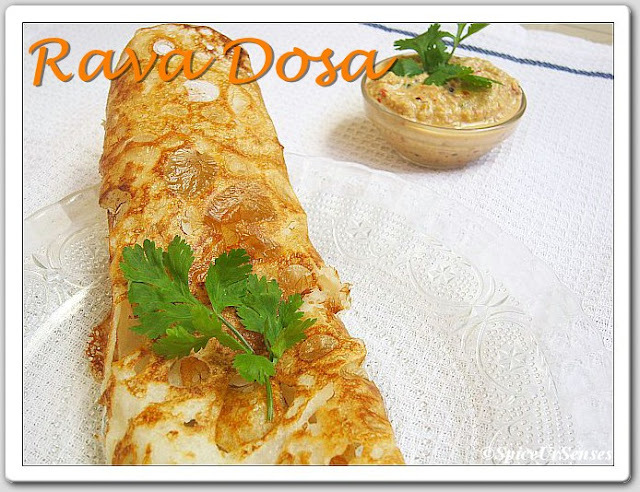 Delicious Rava dosa.. perfectly made. Crispy and yummy dosa. Delicious preparation. 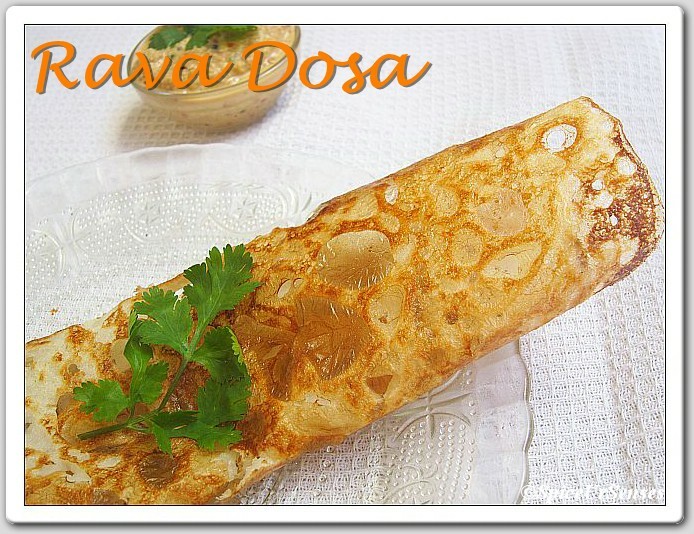 Lacey rava dosa looks irresistible. 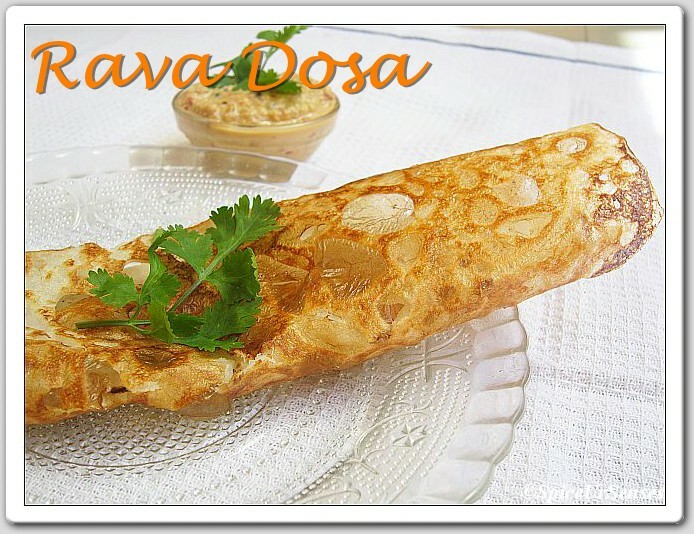 Rava dosa looks really crispy. or refinancing, or finding a loan mod. amount you borrow is bigger and may be harder to spend off urgent payday loans bad credit you only must examine their treasonous record of betrayals of the british people to realise that.